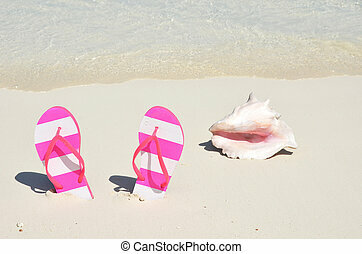 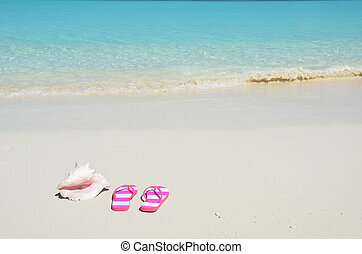 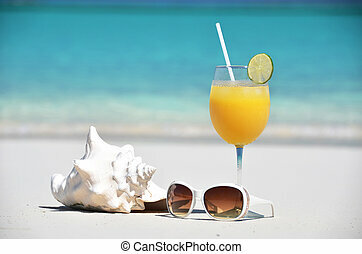 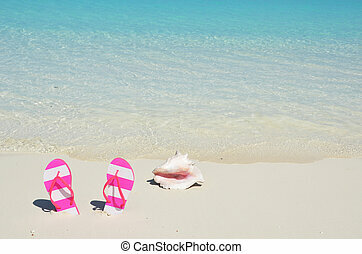 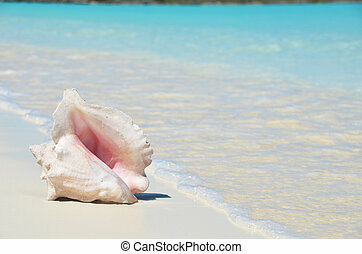 Conch on the beach. 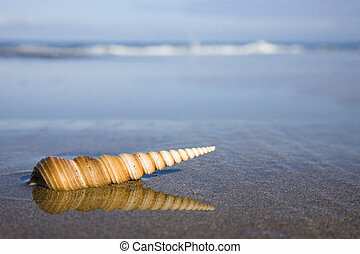 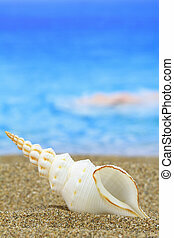 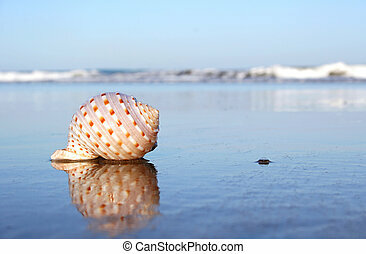 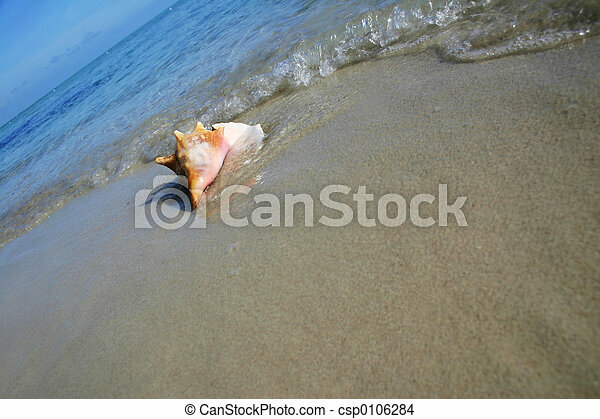 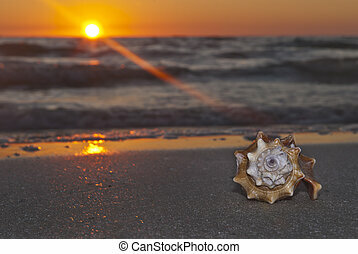 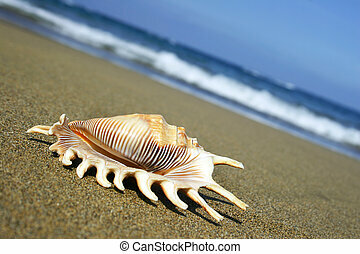 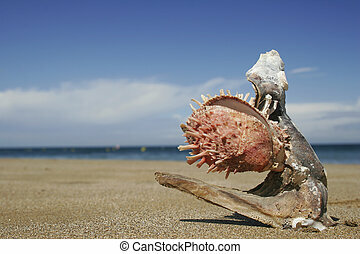 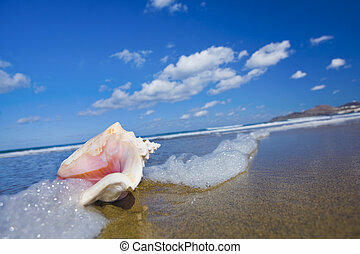 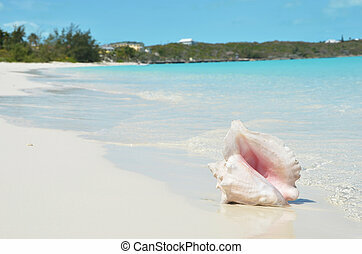 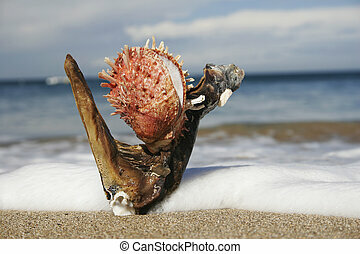 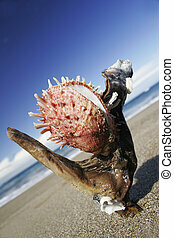 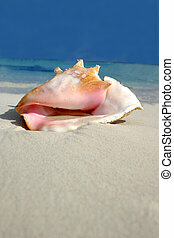 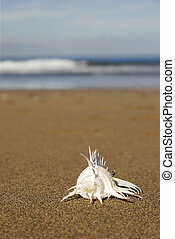 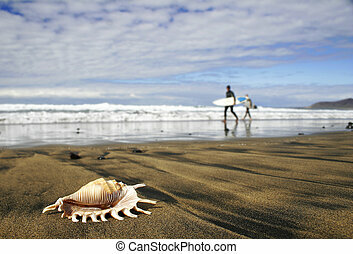 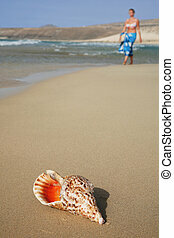 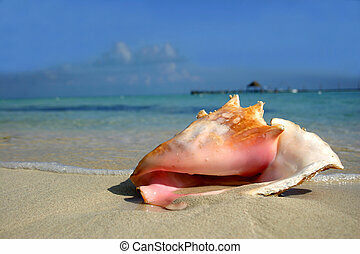 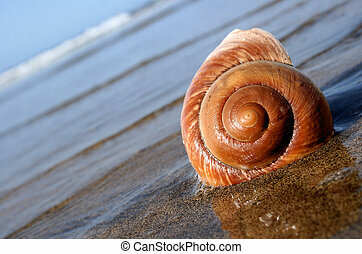 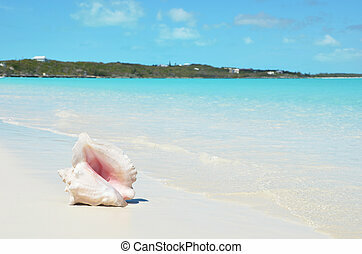 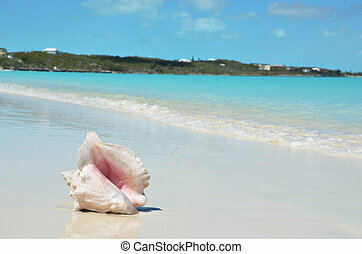 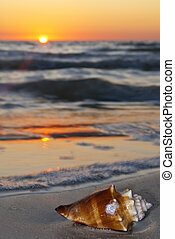 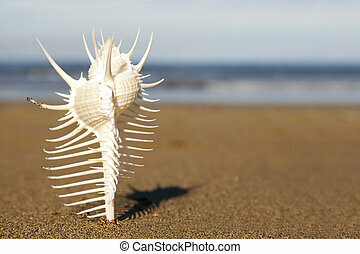 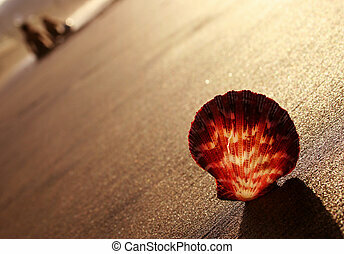 Angled shot of conch on tropical beach. 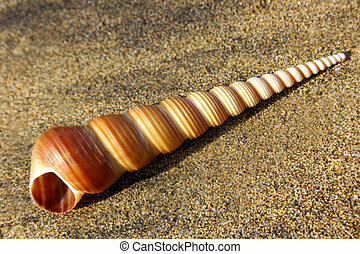 One of a large series. 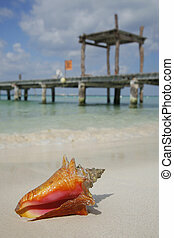 Tropical conch on the beach with an old wooden jetty in the background. 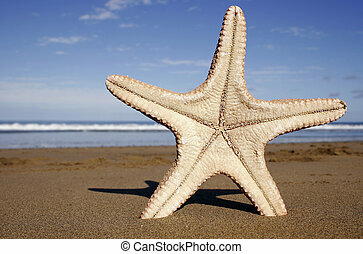 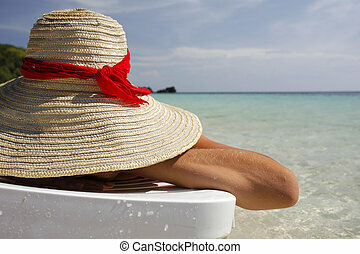 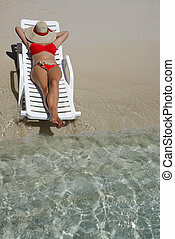 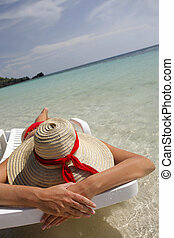 Pretty woman lying on the beach with her leg up. 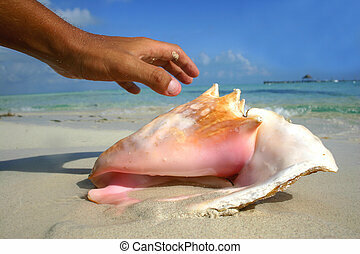 Focus is on the hands.